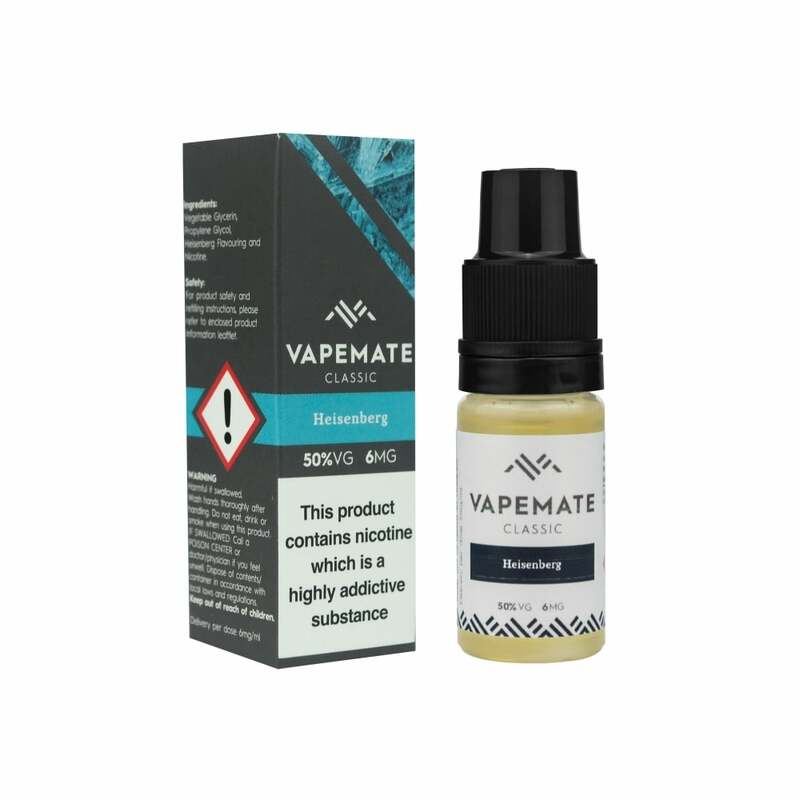 Perhaps the most iconic e-juice of our time, mimicking all the feral coolness and unrivalled dapper of the infamous Walter White, infused with a juicy menthol sharpness, this Vapemate offering is one for the Breaking Bad cult members. The AMC hit series may have long come to an end, but the iconic drug lord lives on in our hearts, and our mini e-liquid bottles. Vape with this blend throughout the day and feel like Heisenberg reincarnated.